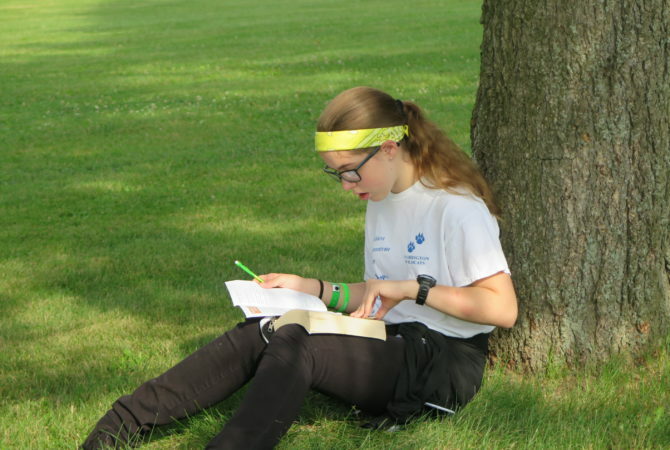 Morning Watch is a daily devotional time designed to instill in the campers a love for spending quiet, prayerful time with God as a way to start each day that God gives us. 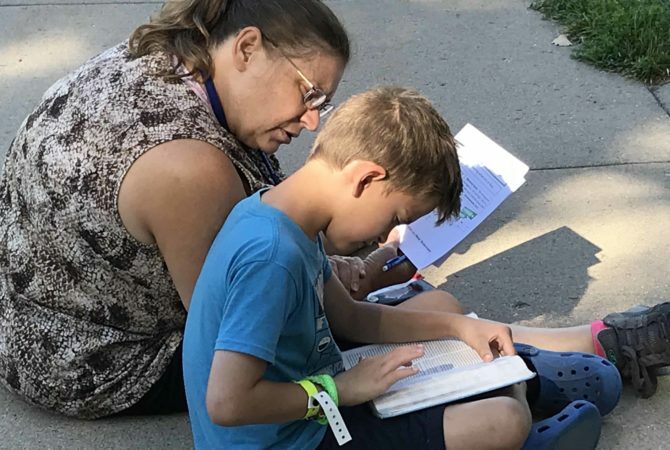 The Bible is full of references to keeping a constant watch and to beginning the day early and in prayer. One such reference is found in Psalms 5:3 which says: “O Lord, in the morning you hear my voice; in the morning I prepare a sacrifice for you and watch.” While we are not required to prepare sacrifices in the way God’s people were when this was written, it is good for us to “sacrifice” our time. We can do this by managing it in such a way that we rise early in order to spend time with our Heavenly Father before we start the rest of our day. 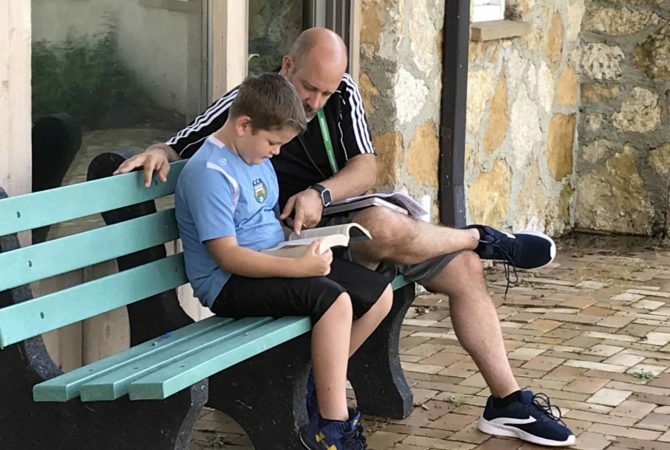 At Camp Cedarbrook, Morning Watch takes place first thing in the morning – either right before or right after breakfast. 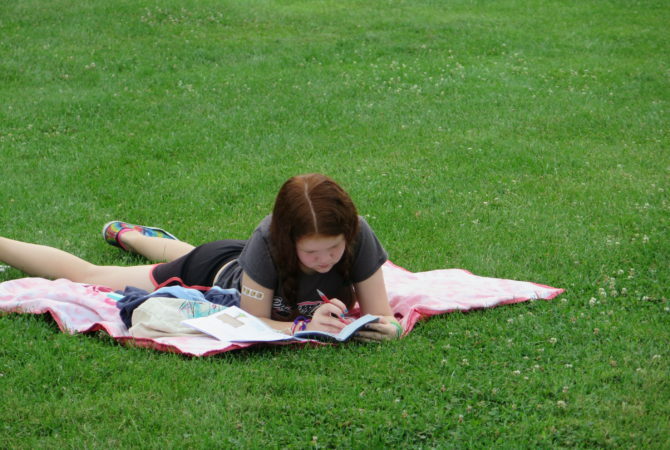 This time is spent outdoors, unless it’s raining. 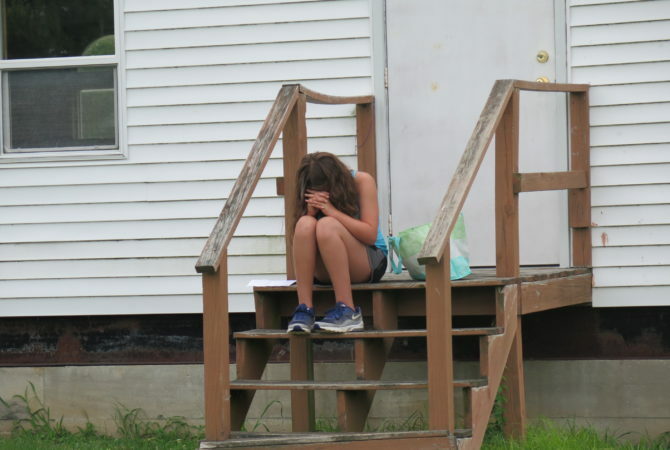 Campers find a quiet spot where they sit by themselves to do their morning devotion. 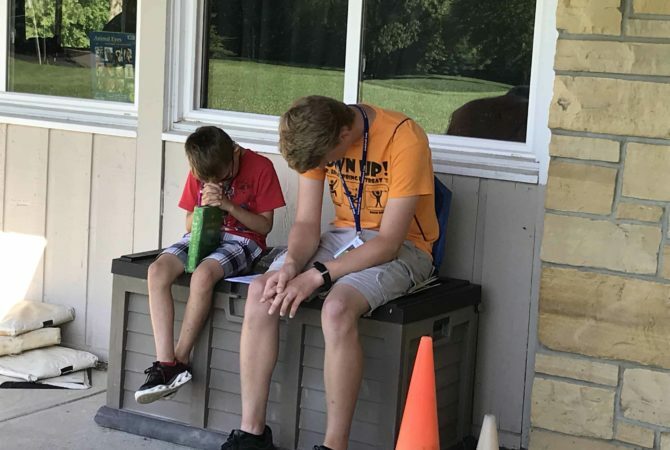 Counselors of the younger divisions assist and guide their campers, while counselors of the older divisions might spend a few moments in prayer with each of their campers and be available to discuss anything if desired by the campers. 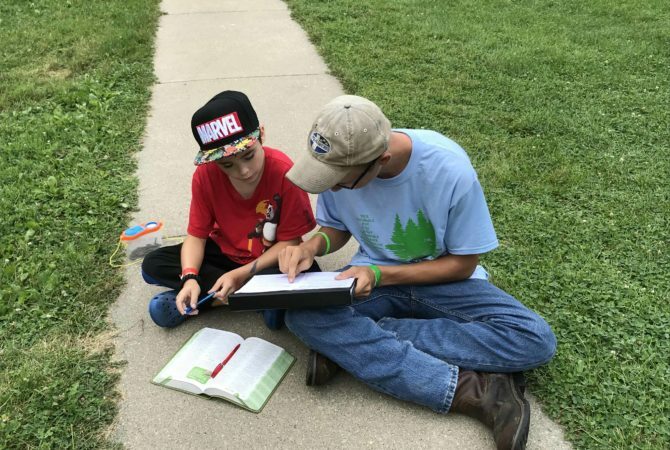 The Morning Watch material for the younger campers is an age-appropriate Bible study. 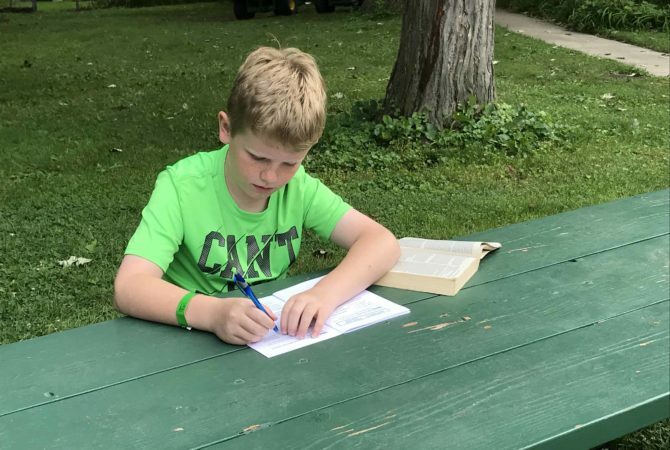 The older campers may use a journaling format. 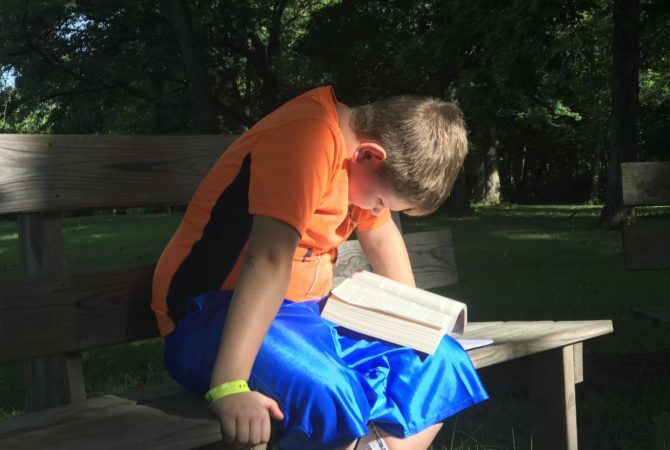 Our goal is to build in each camper a desire to start each day with quiet time in prayer and in God’s Word. 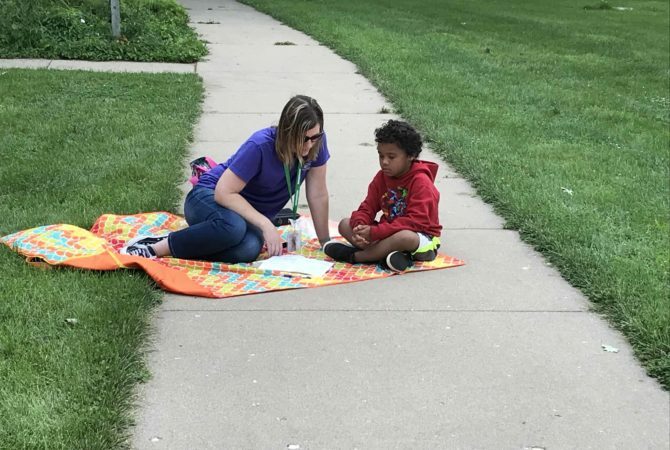 Starting the day with proper spiritual nourishment is vital to our ability as God’s children to keep a faithful watch for the rest of the day that God has in store for us.